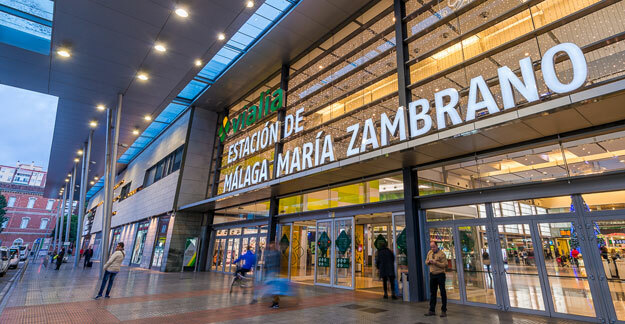 Maria Zambrano train station in Malaga is located in the city centre, near the harbour and the historic centre and has connections with AVE and middle-distance trains and links to the bus station, metro and buses. 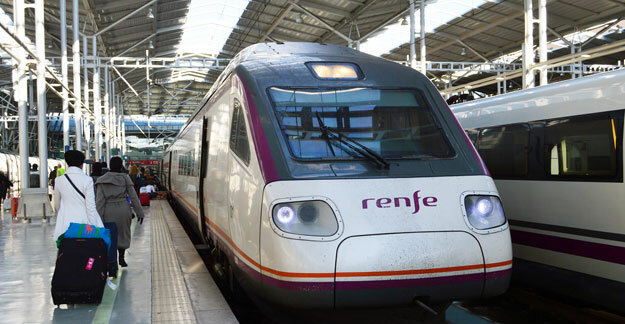 Malaga has direct AVE (high speed train) connections to Antequera, Córdoba, Zaragoza, Tarragona, Barcelona and Madrid, as well as middle-distance connections with most major Spanish and Andalusian cities. From autumn 2017 there will also be a direct AVE connection from Malaga to Granada in less than one hour. Within the same complex there is the access to the commuter lines C-1 (Malaga-Fuengirola) and C-2 (Malaga-Alora). The C-1 has a frequency of every 20 minutes, while the C-2 has a frequency of every hour. 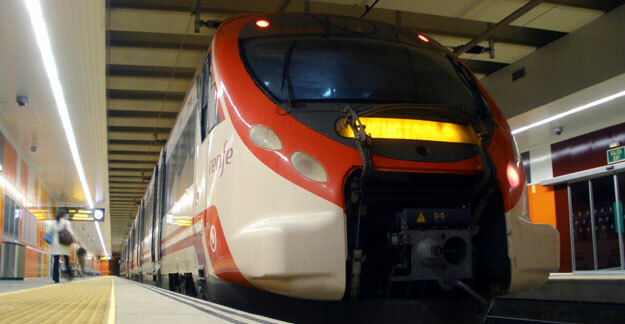 At the main entrance of the train station you have access to the Málaga metro and buses. A few meters from the station is also located the bus station with a large number of intercity and interprovincial connections. The railway station is open daily from 5 am till 12:45 am. Counters for instant ticket sales are open from 6 am to 9:30 pm and presale counters from 7 am to 9:30 pm. The Malaga Bus Station is located at Paseo de los Tilos, 50 meters from the railway station. Integrated into the station there is also a huge shopping centre, Vialia Mall, with more than 100 shops, restaurants and cafes, kids club, nursery room, 10 cinemas and a 4-star hotel, the Hotel Barceló Vialia and underground parking. Most shops also open on Sundays. Tengo una pregunta. En que fecha esta abierta la estacion nueva de las lineas C1/C2 cerca de La Plaza de la Marina? Gracias, James (en Inglaterra). Lo siento, mi laptop no tiene los acentos del idioma espanol. No tenemos constancia de que se vaya a abrir una nueva estación cerca de Plaza de la Marina. La última parada sigue siendo Centro – Alameda. Estaremos atentos a noticias sobre este tema.